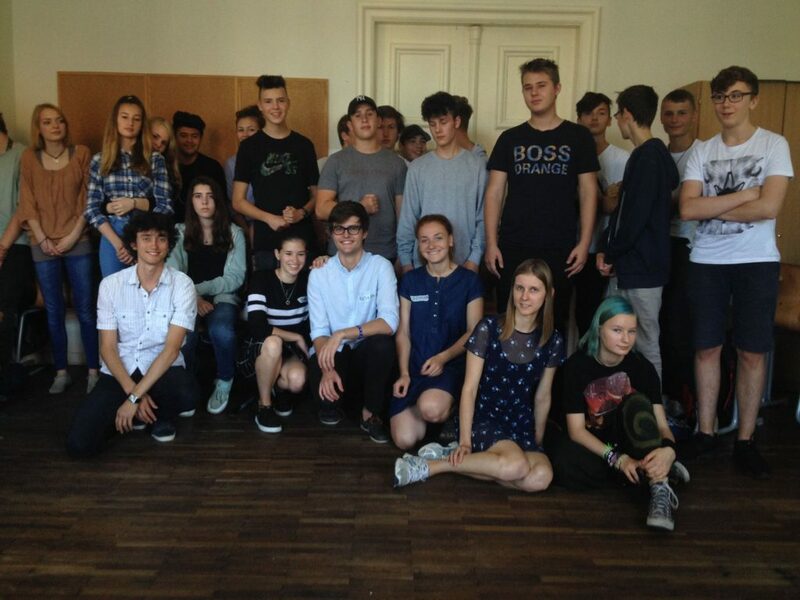 The workshop was conducted in Pankow school with teenagers of 14-15 years old. Our main goal was to explain children basic principles of sustainability and enhance their understanding of its importance. During the session we introduced us and the Interacticity project and showed results of our 2-week research of alternative urban spaces in Berlin. 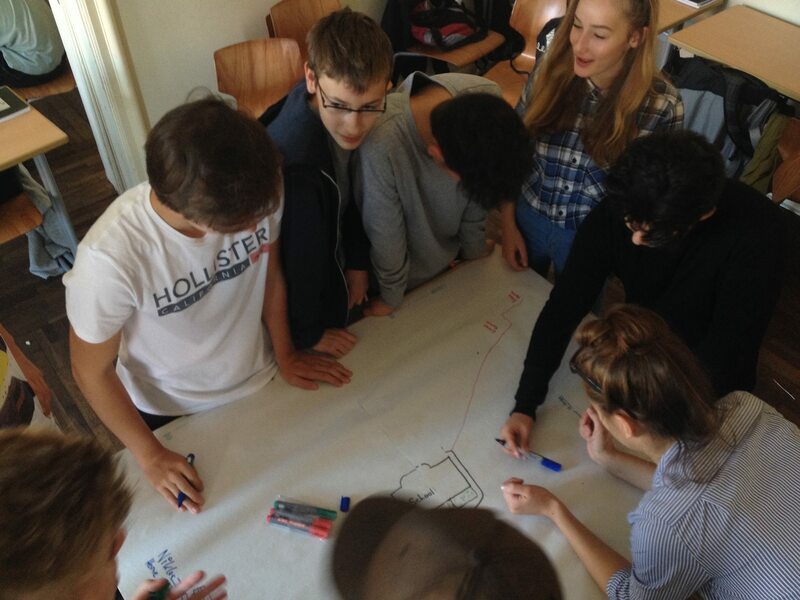 To make pupils share their own experience of usage space we offered them to create a subjective map and mark places that brings them negative and positive impressions or emotions. The evaluation included discussion and comparing the list of criteria which they used to make choice. We were surprised a little bit when they unanimously determined a school as the negative one. But they’ve clearly explained their opinion about every place they mentioned. 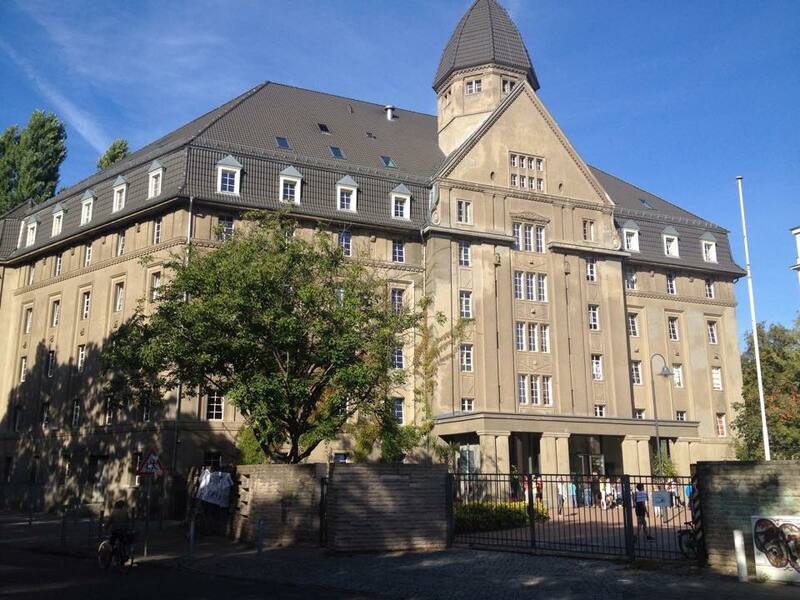 It was really useful and interesting experience for us to explore Berlin better, from the teenager’s vision.